Within astrophysics there are a few topics that are controversial. They aren’t controversial within the scientific community, but every time they are mentioned a few readers will note that the theories are nonsense. The big three are dark matter, dark energy, and the big bang. Part of this controversy is driven by the way these topics are often presented. Popular science tends to focus on their wild and mysterious aspects, presenting them as great mysteries that defy efforts to understand them. Then there are the misconceptions that are repeated about these topics (such as the idea that universe began with an explosion). Finally there are new alternative models touted in the press as overturning our accepted models, when most of these either don’t agree with observation or are not rigorous enough to be tested experimentally. In the past I have done a week-long series on certain topics. I don’t do them all the time because they take more work than one-off posts, but they tend to be rather popular. So far the series have been fairly broad in scope, covering the quantum revolution, or science fiction vs. science fact. But this time I’m trying something a bit different: cover one topic in detail. Background, proposed models, observational evidence, and why we support one theory over the alternatives. 1. Standard gravitational theory applied to the matter we see does not match what we observe. Since the 1920s we’ve seen that things don’t add up. Either there is much more mass in the universe than we can see, or our understanding of gravity is very, very wrong. After almost a century of astronomical observations, that fact has remain unchanged. 2. Alternative gravitational models don’t solve the problem. The obvious choice is that gravity acts differently on cosmic scales. Einstein improved on Newton, so why not simply improve on Einstein. Many alternatives have been proposed, but later observations have disproved them. 3. 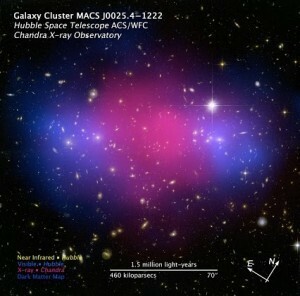 Dark matter (mass that doesn’t interact strongly with light) does work. The model of dark, weakly interacting matter does agree with observation. This model has passed every test thus far. Everything we’ve observed points in the direction of dark matter. 4. Known dark matter isn’t enough. We know of some things that have mass and weakly interact with light, such as neutrinos. They are a part of the dark matter, but not all of it. There must be an additional type of dark matter, and we aren’t yet sure what it is. 5. We actually know quite a bit about dark matter. There are fundamental aspects of dark matter we don’t yet understand. But there is also a great deal we do know, such as how much there is in the universe, as well as its distribution among the galaxies. Dark matter is not simply a name we use to hide our ignorance. So if you’ve ever wanted to know about dark matter, stay tuned. We’ll get into the real details starting tomorrow. And that’s a fact. Thanks, I’m looking forward to this. A friend suggested your blog when you started the quantum theory series, and I greatly enjoyed those posts and learned a lot from them. I’m especially looking forward to learning more about why cold dark matter is a more widely accepted hypothesis than modified Newtonian dynamics. Gravitational turbulence based on drag predicted by general relativity could be the answer. It doesn’t look to be, for reason I’ll go over in the series. I look forward to these upcoming posts. 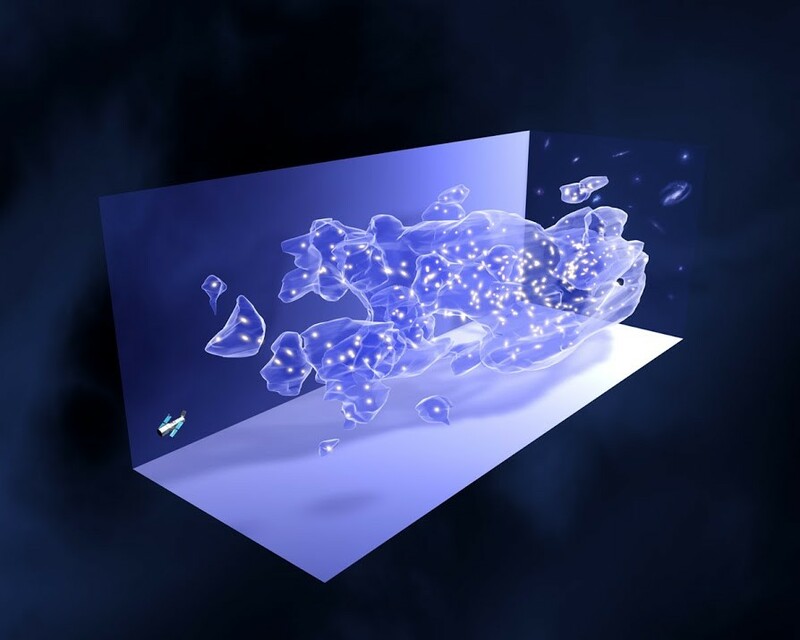 I have often wondered if dark matter might just be the accumulative effect of all those virtual particles, quantum foam, winking into existence, albeit for incredibly short times, but over cosmological scales, the appearance of virtual particles with their concomitant gravity every few 10^-21 seconds in their quadrillions per cubic metre over countless cubic lightyears in their billions of solar masses worth of gravitational effect. Likewise, the overlapping events of appearance of particles jostling for new space between the not-yet annihilated previous particles does seem to provide the force of expansion of seemingly empty space, like the volume change of decompressing carbonated liquids–in a constant backfilling of an expanding foam. I thought of this explanation when first I heard of the Casimir effect years ago. I see now that many others have gone forward with such a solution, far beyond my naive first inklings and I would be very interest to see your professional take on these things. Maybe rhetorical, but, is it considered a stupid question to ask why the _possibility_ of erroneous interpretations of (or errors in computations based upon) current observations are *never* even considered? I very much look forward to reading your series! Erroneous interpretations are considered all the time. Look at BICEP2, for example, where there is heated debate over the interpretation of results, or the Hipparcos data, where there is argument over the validity of the data. This type of thing is always considered. However, when we are confident in the results, we say so, and we don’t need to keep rehashing old arguments that have been settled. I just finished this, and thanks for a clear explanation of what the background is for dark matter. I certainly feel less “controversial” about it now. And I await your writeup on Dark Energy, where I am equally confuzzled about why the reasoning behind the idea.